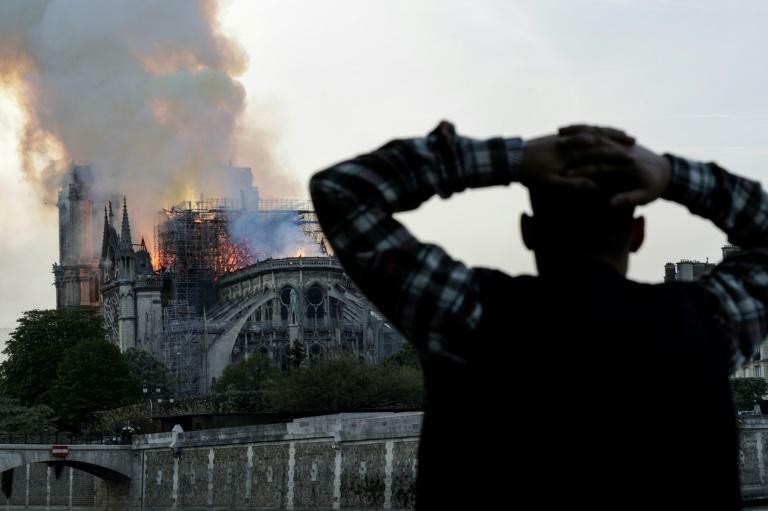 Crowds of stunned Parisians and tourists -- some crying, others offering prayers -- watched in horror in central Paris on Monday night as firefighters struggled for hours to extinguish the flames engulfing the Notre-Dame Cathedral. Flames ravaging the roof illuminated the outline of the monument's two square towers in a fiery glow, and were reflected in the waters of the Seine. "I come often, and go in even where there's no mass because it's an extraordinary place, entwined in the history of France," he said. "Politically, intellectually and spiritually, it's a symbol of France." When Seigneurie says that he's very sad, an elegant woman with dark bobbed hair who is crying whispers to him, "We have to pray." The girls had wanted to climb the church's towers Monday evening but at the last minute the three decided to go to Disneyland Paris instead. "We were heartbroken because as New Yorkers we've been through this," Duffy said, referring to the September 11, 2001 attacks which destroyed the twin towers of the World Trade Center. "In terms of heritage this is much worse. This is a world treasure. Everyone knows Notre-Dame," she said. Gasps and cries of "Oh my god" erupted at 7:50 pm (1750 GMT) when the top portion of the church's spire came crashing down into an inferno that had spread to the entire roof. Police cleared pedestrians away from the two islands in the river Seine, including the Ile de la Cite which houses the soaring Gothic church, one of Europe's best-known landmarks. 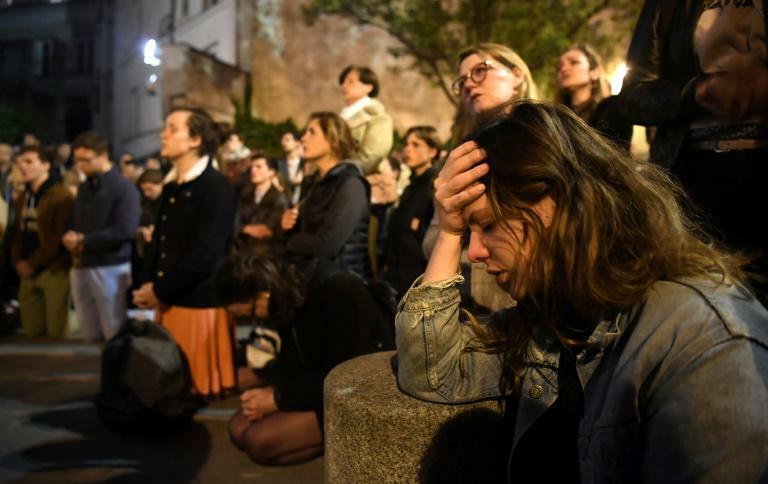 "We were very sad because it's a very important monument, and also worried because many things have happened in Paris lately," she added, referring in particular to the jihadist terror attacks that have struck the city since 2015. 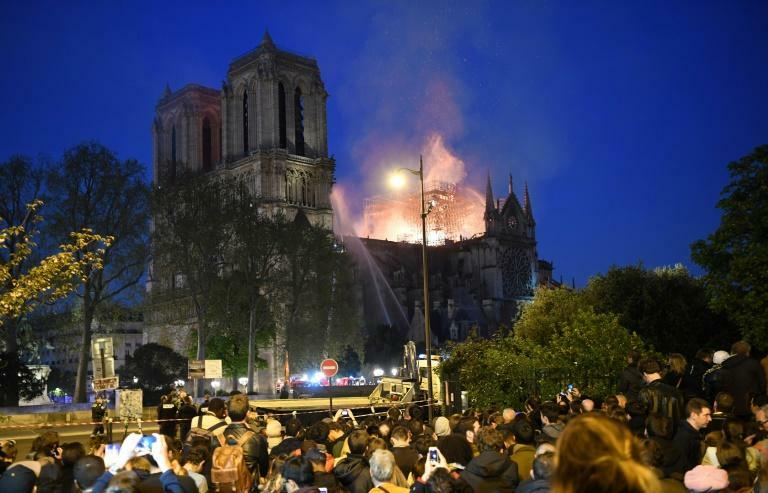 Miguel-Angel Godia, his wife Esther Fajardo and their daughter Raquel, 10 -- who had seen the animated "Hunchback of Notre-Dame" film -- had planned on visiting the church for the first time Tuesday. "It's a real shame... it's something so immense, so emblematic," said Esther, wiping tears from behind her glasses with the tip of a scarf.